Slides, stories, and ideas to inspire. 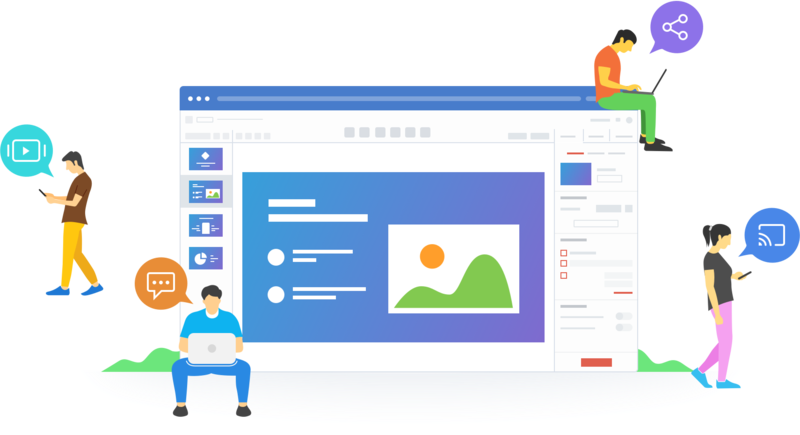 Zoho Show lets you create, collaborate, present, broadcast, and publish presentations, the smarter way. Create and present. Anywhere. Anytime. A theme for every need. Simply pick one to give your slides a smart look. Contextual UI, user-focused interface that subtly guides you through authoring slides. Translate your story into slides. Condense information with charts & tables, or expand it with powerful images, relevant videos, and tweets. Collaboration delivers results. Invite your colleagues to edit or review your content, wherever they are. Work miles apart, but stay in sync. 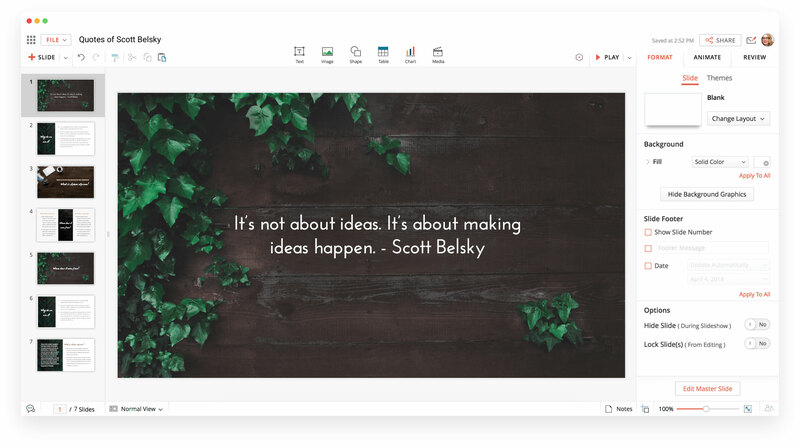 Review slides together, view changes live, and get real-time feedback to improve your presentation. Add, edit and reply to comments to facilitate discussion and share opinions. Mark completed issues as resolved to remove comment clutter. Give your presentation a stable URL and share your slide deck with the world without compromising on quality. Publish on both internal and external channels: websites, blogs, social media, and much more. 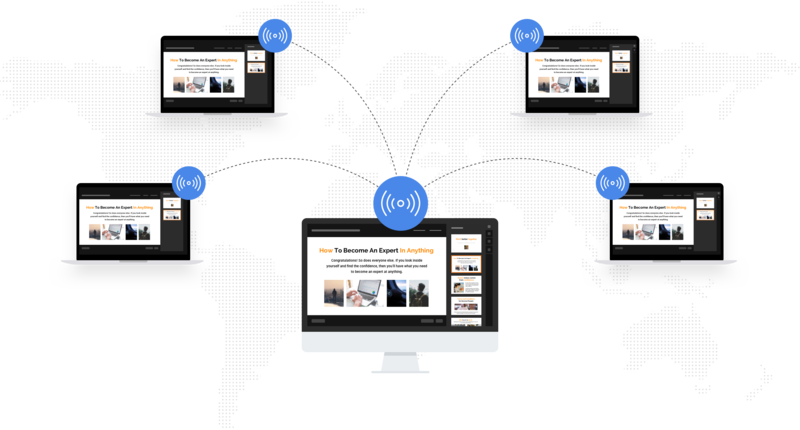 Broadcast to deliver presentations, lectures, and trainings to remote audiences. Connect with your audience without being physically present at the venue. Take your presentations wherever you go with the Zoho Show app for iOS. Import slides from the cloud or your device and start presenting right away. 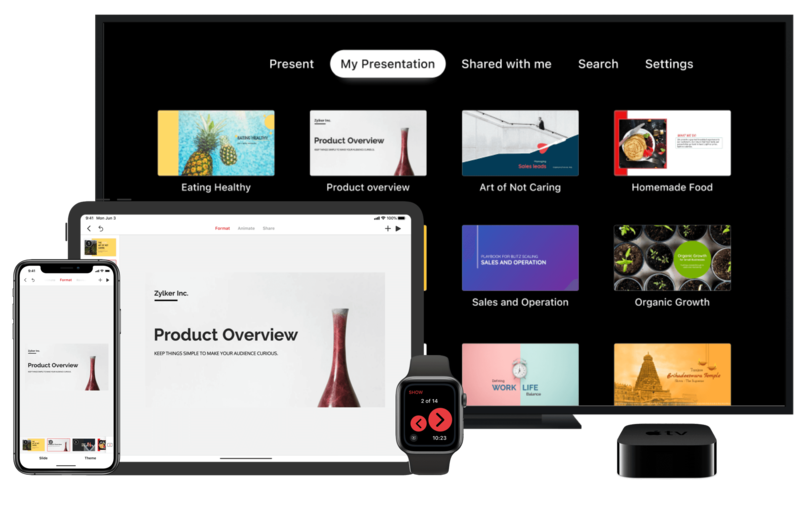 Make Apple TV your stage and deliver presentations that create a lasting impression. Use your Android phone as your presentation platform and present from anywhere. 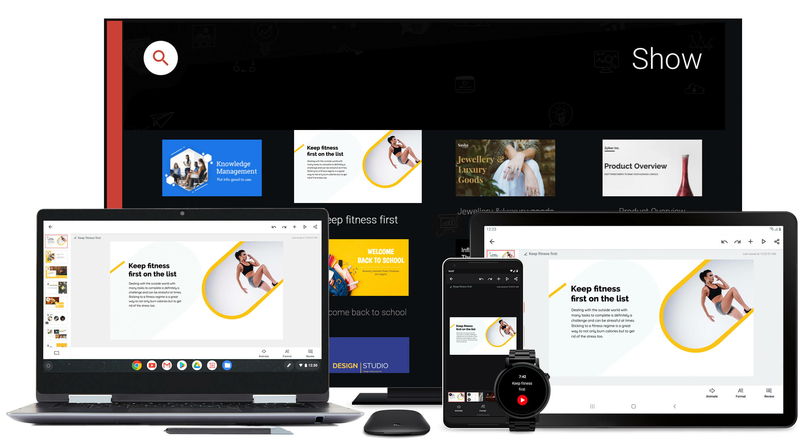 Deliver presentations directly from your Android TV, no cables required. Just download the app and stream presentations in real time. Disconnect from your desktop software. Migrate to Zoho Show to collaborate online and always be on the same page as your team. Formatted documents remain exactly as they were when created, with no faulty margins or misplaced numbers. 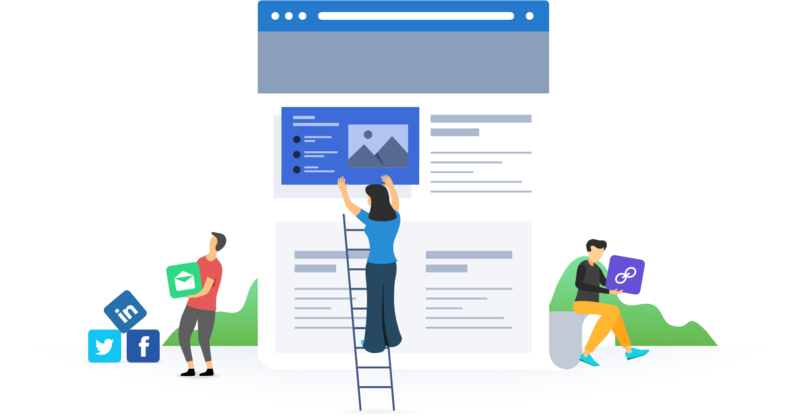 Create visually engaging stories with Zoho Show.